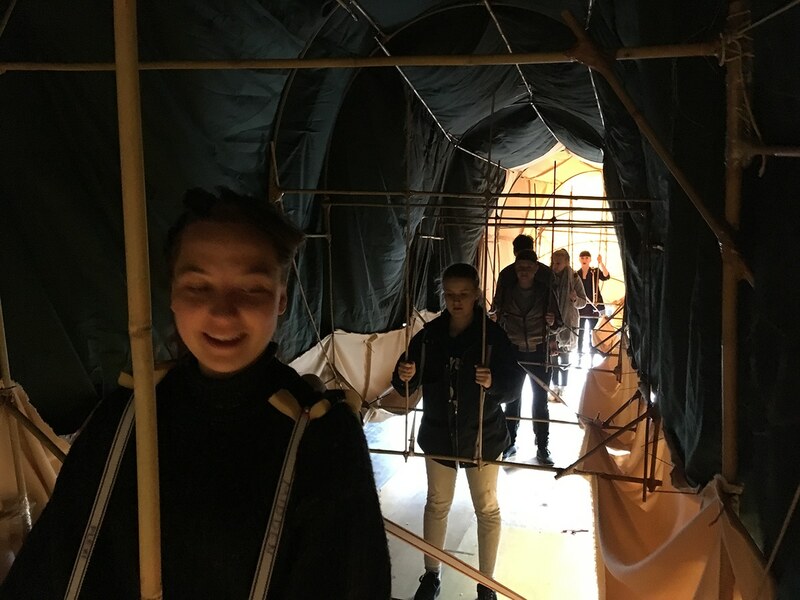 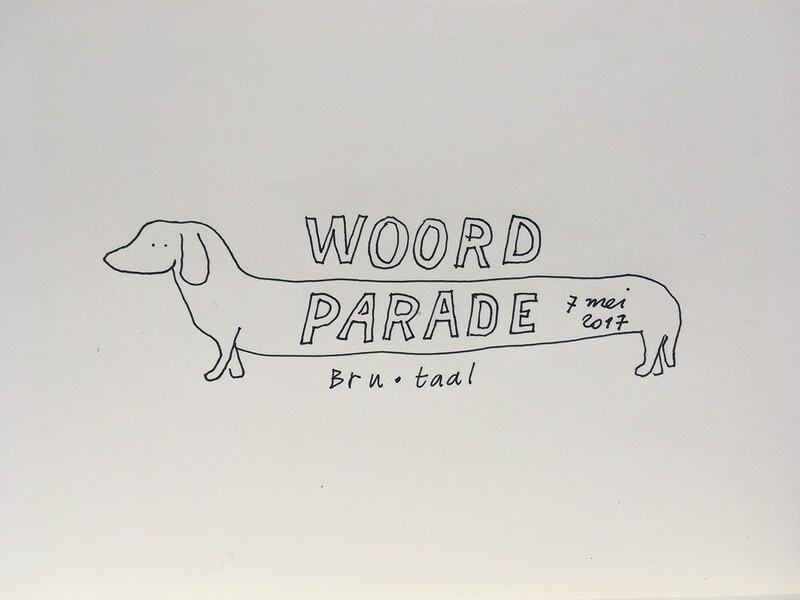 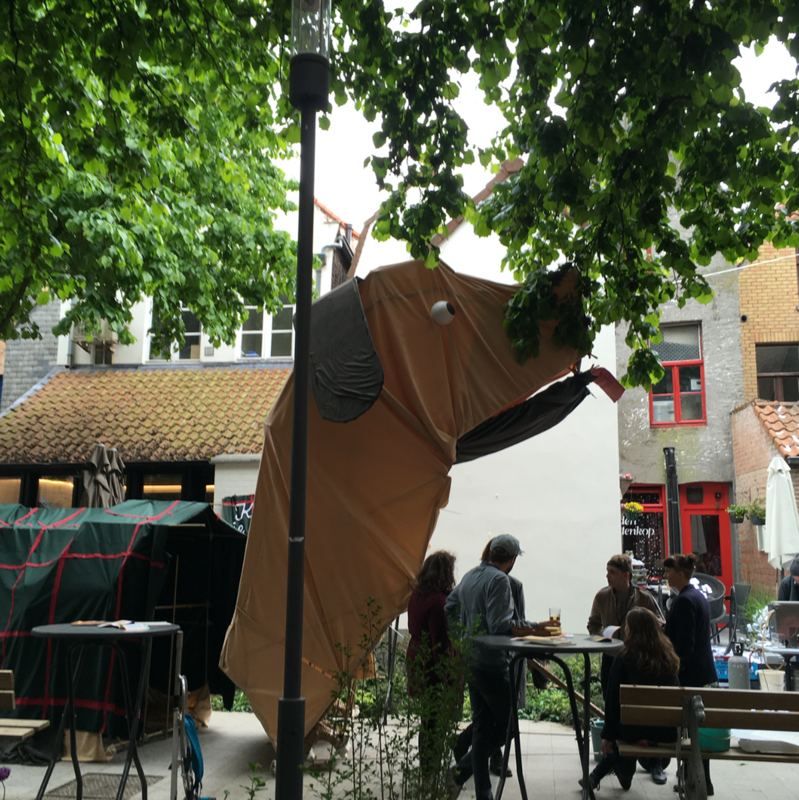 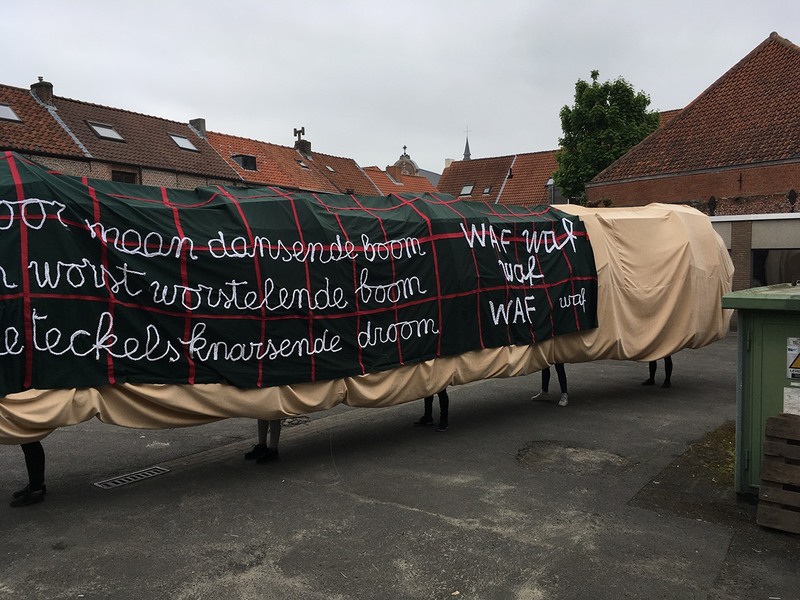 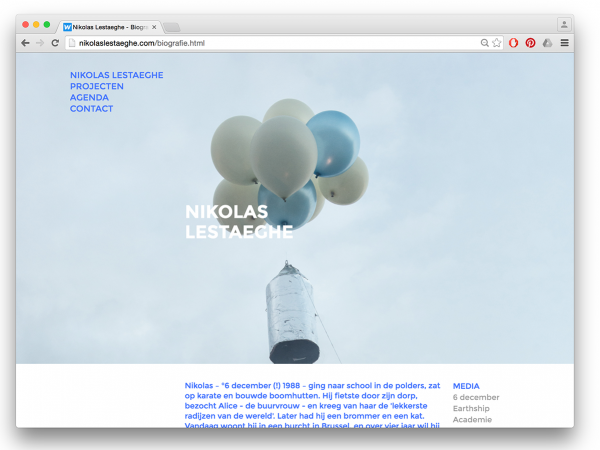 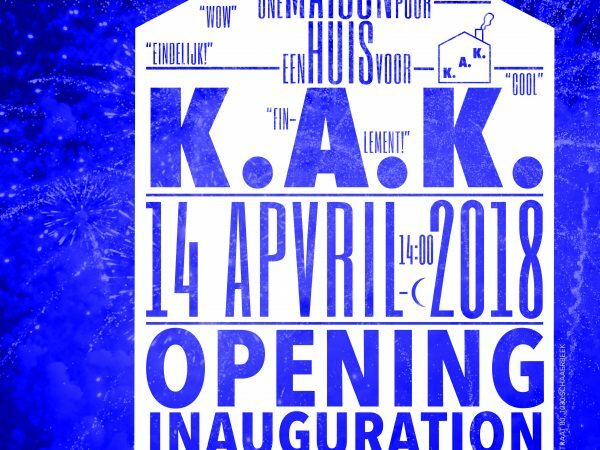 Residents at KAAP, Creative Compass in Bruges, Nikolas Lestaeghe, Karlien Torfs, Nicolas Delalieux and me, were asked to develop an idea for a literature festival parade. 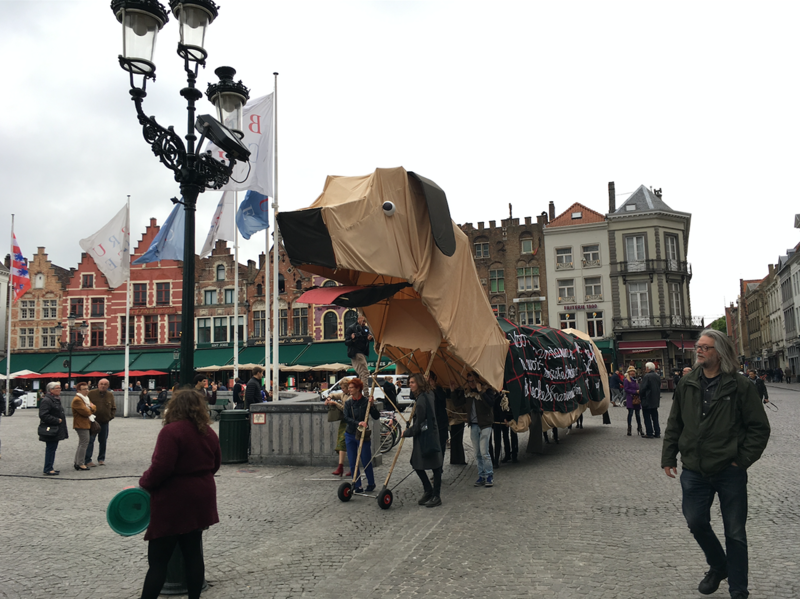 We worked with the idea of the dog as the ultimate symbol of the city, and inspired by Chinese dragon parades we designed a huge dog that opened his mouth to sing and paraded through the streets sporting a knitted jacket with a poem on it, made from poetic sentences sent in by the public. 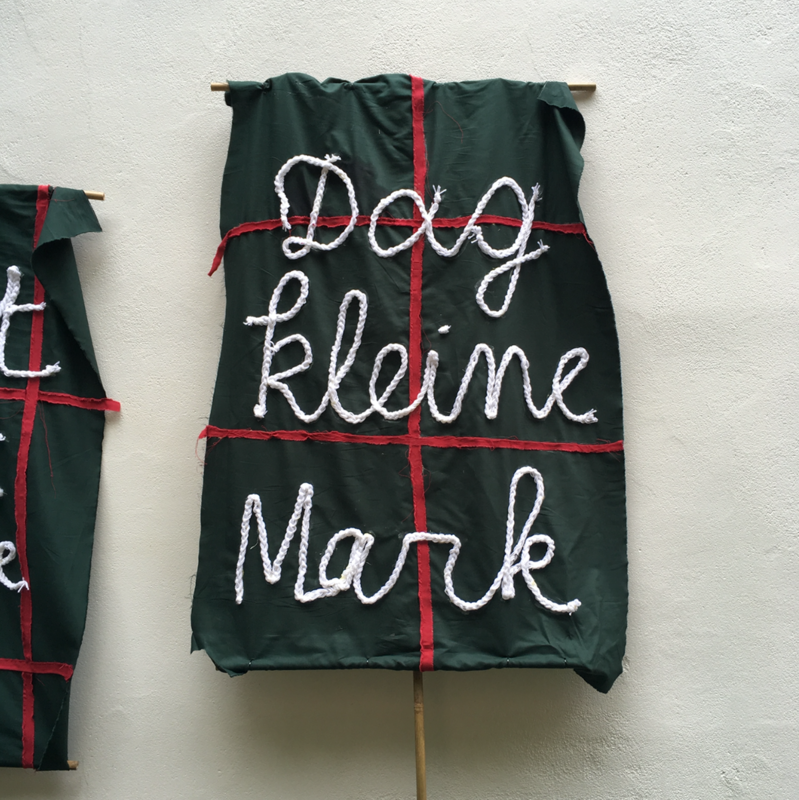 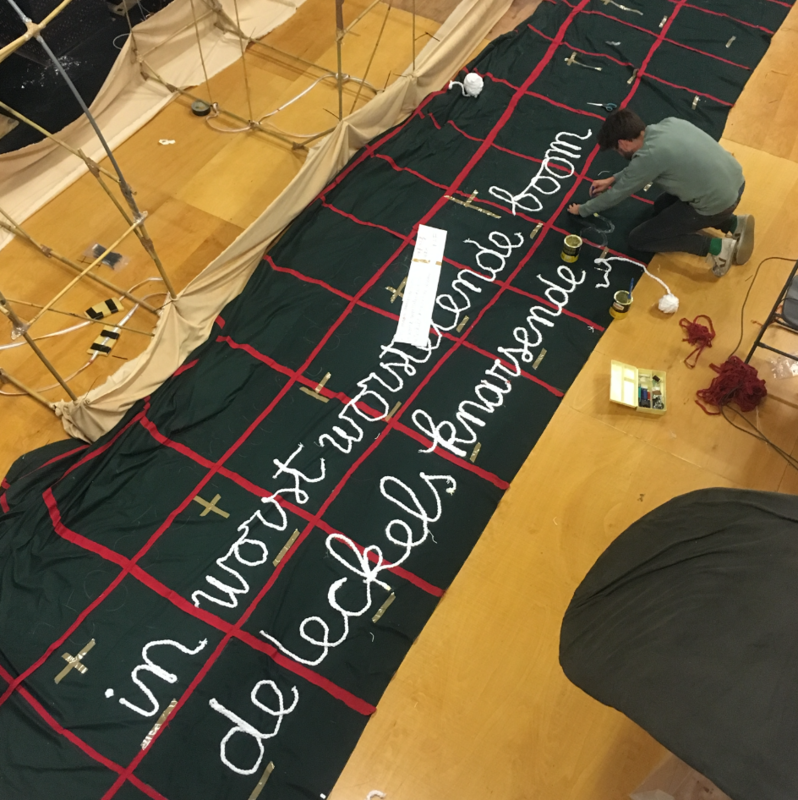 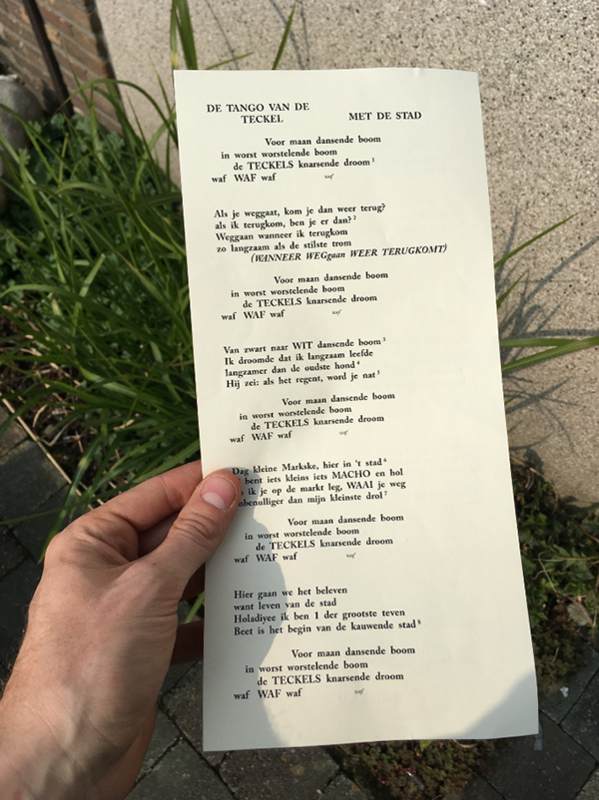 I personally enjoyed working on the design of the dog’s head best, as well as the lettering on the coat and banners, and the Van Ostaijen inspired poem design. 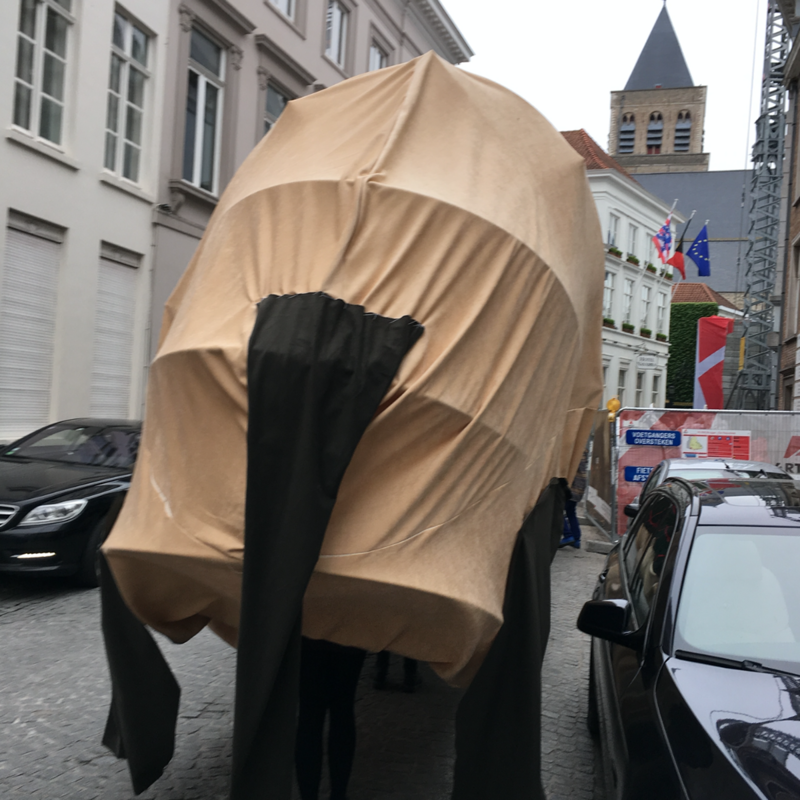 The local television paid us a visit during the parade!